The leader of Thailand’s oldest political party has resigned after his party’s poor showing in the country’s general election. Figures from Thailand’s Election Commission show a military-backed party has taken the lead in the country’s first election since a 2014 coup. A poll for Thailand’s first election since a 2014 coup predicts the Thaksin Shinawatra-allied Pheu Thai party will win the most parliamentary seats by a large margin but not enough to choose the country’s next prime minister. The poll, taken in the days before the election, was released after voting closed Sunday. 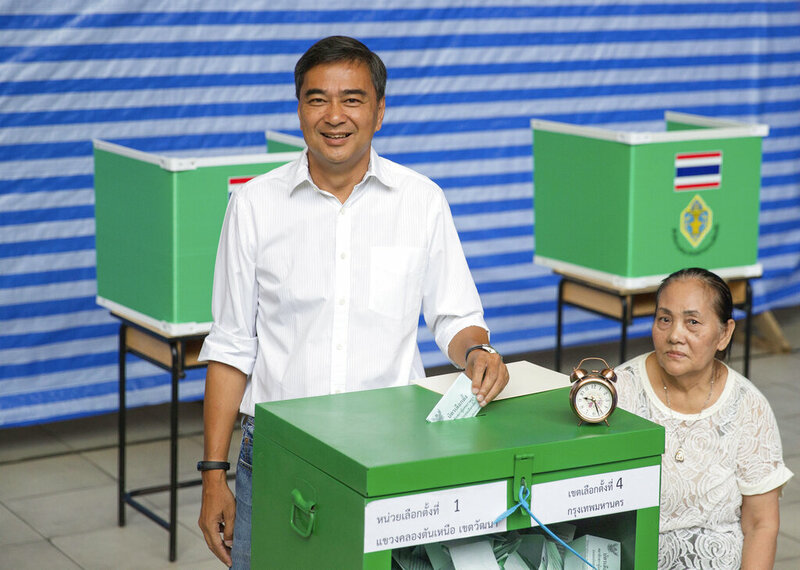 Voting has ended in Thailand’s first election since a 2014 military coup. Some results are expected within several hours, but the formation of a government may take weeks of horse-trading. Thais voted for a 500-member parliament, of which 350 lawmakers are elected from constituency races and 150 based on parties’ share of the overall vote. Those 500 combined with a 250-member junta-appointed Senate will decide who becomes prime minister. Thailand’s prime minister and junta leader has played golf after voting in the country’s first election since the 2014 coup he led. The leader of the Pheu Thai political party that was ousted as Thailand’s government in a 2014 military coup says she’s confident of winning Sunday’s election. Thais are voting for a 500-member parliament that along with a 250-member junta appointed Senate will decide the country’s next prime minister. His Majesty King Maha Vajiralongkorn has issued a statement as Thais vote in their first election since a 2014 coup that says the role of leaders is to stop “bad people” from gaining power and causing chaos. Invoking a speech by his father, HM King Bhumibol Adulyadej who died in 2016 after reigning for seven decades, HM King Vajiralongkorn said not all citizens can be transformed into good people so leaders must be given support in ruling to create a peaceful nation. Voting is underway in Thailand’s first election since the military ousted an elected government in a 2014 coup. About 51 million Thais are eligible to vote Sunday. Leaders of civilian political parties have urged a high turnout as the only way to derail Prayuth’s plans.